The Woodwind department at The Purcell School is staffed by an outstanding team of Britain’s finest woodwind players, all of whom share a clear focus to help prepare students for a career in and around music performance. With chamber music at the heart of the Woodwind department, students play a vital role in the School’s orchestras and baroque ensembles, as well as regularly performing in family groupings. They are also able to perform in more contemporary collectives such as the School’s Big Band, and often collaborate with players from other departments on new projects. This diverse range of performance opportunities allows students to gain experience as soloists, chamber musicians and orchestral players. Frequent visits and recitals from leading musicians further enhance the department’s dedication to encouraging students to challenge their own playing and explore new performance styles. The department holds bi-annual Woodwind Days, which are open to young woodwind players of Grade 6 standard and above. Coached by members of the faculty, the workshops, ensemble playing and performance classes provide a valuable insight for prospective students into this enthusiastic, supportive and vibrant department. Joy Farrall has a diverse and fascinatingly eclectic career currently holding the position of Principal Clarinet with the Britten Sinfonia. She has freelanced with most of the UKs major orchestras and chamber orchestras and as an enthusiastic chamber musician she has appeared at music societies and festivals all over Britain, Europe, America and Australia. 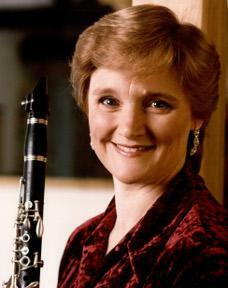 Joy is a founder member of the Haffner Wind Ensemble with whom she has broadcast, recorded and toured widely. She is well known for her performances of new works and together with Nicholas Daniel has premiered concertos for clarinet and oboe by John McCabe and Simon Bainbridge, who also wrote for and dedicated a Clarinet Quintet to her. Festival appearances include the Aldeburgh, Cheltenham, Leicester and Stockholm Contemporary Music Festivals, and she has performed recitals and given master classes as far afield as Spain, Finland and Australia and Israel. She has made several recordings which include the Strauss Duet Concertino for EMI, two Mozart discs for the Classic FM label, and chamber works for both Chandos and Hyperion. Most recent is a disc of Italian Bel Canto Concertos with the Britten Sinfonia on ASV. In addition to her Professorial duties at Purcell, Joy has been Professor at the Guildhall School of Music and Drama since 1985 and in September 2010 she took the post of Senior Tutor of chamber music for the Wind Brass and Percussion department. Recently as part of the Britten Sinfonia’s Creative Learning programme Joy has taken a leading role in the inauguration of their Academy for young players. Joy became a Fellow of the Higher Education Academy in 2014 and a Fellow of the Guildhall School in 2016. “‘Oboe life’ at the Purcell School is a busy, fun and varied mix of lessons, reedmaking, masterclasses, chamber music, orchestral playing . . . and plenty of practice! There are also regular classes, for example, to try out new pieces, listen to and learn from each other and discuss all sorts of ‘nerdy’ oboe things, such as breathing, articulation, vibrato, memorizing, stage presence, reeds etc. The main teacher is Melanie Ragge, and there are lots of visits from other oboists too; one of Mel’s ex-students, James Turnbull, often comes in to teach reedmaking, and ex-Purcellian Hannah Morgan has previously visited many times too.” Click here to read the full article.